Changes in season are exciting and full of promise. They can also provoke allergies and sinus flair ups. I hate waking up with the tell tale sore throat, ear ache, and mild cough that undermines the rest of my day. For years I have pursued herbal medicine through self study; and, two weekends ago I took the next step. I began formal education at Green Comfort School of Herbal Medicine. 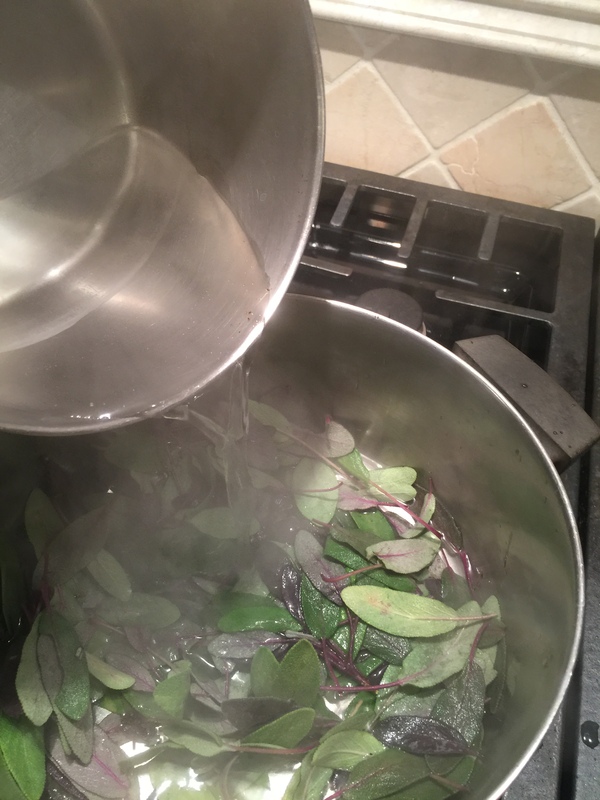 One of the herbs and recipes we studied addresses this very problem and I am happy to share with you. This remedy? Sage. Sage (Salvia officinalis) has been used successfully for hundreds of years for sore throat relief. Its very drying, which is helpful when congestion is traveling from the sinuses down the throat. Recently, studies by the German Commission E (Germany’s counterpart to the United States FDA) validated this historical effectiveness by concluding sage “reduces inflammation of the mucous membranes of nose and throat.” Personally, I was shocked at how much it has helped me this week when a sore throat threatened to derail my plans. One caveat. It is effective; but, to most people it will taste terrible. I actually like the taste but I am weird. My children tried it and raised the roof with dramatic exclamations of horror. They came back though because it worked so well. Now that is evidence! So how is this wonder gargle made? 1 cup of loose packed fresh sage per one quart of hot water. 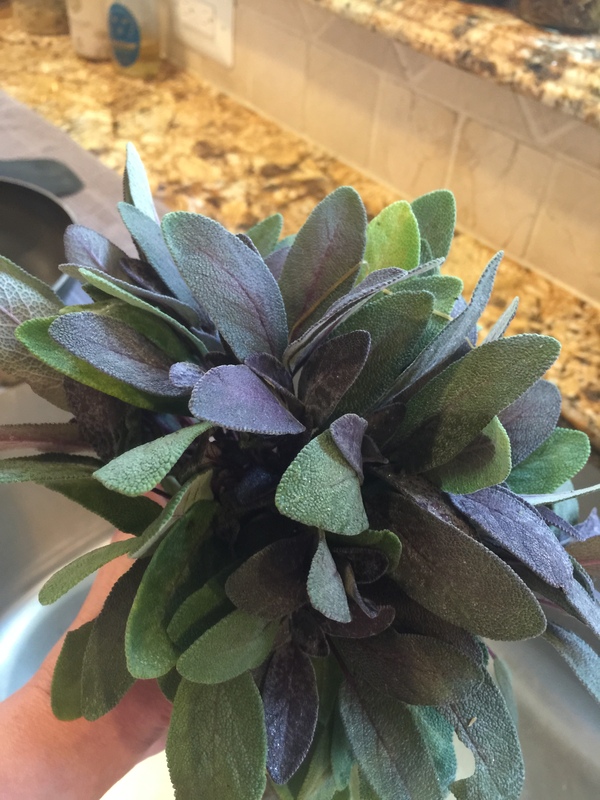 You can also use dried sage in a ratio of 4 tablespoons to one quart of water. This recipe can be increased or decreased dependent on your needs and the amount of herb you have as long as the ratios are kept constant. 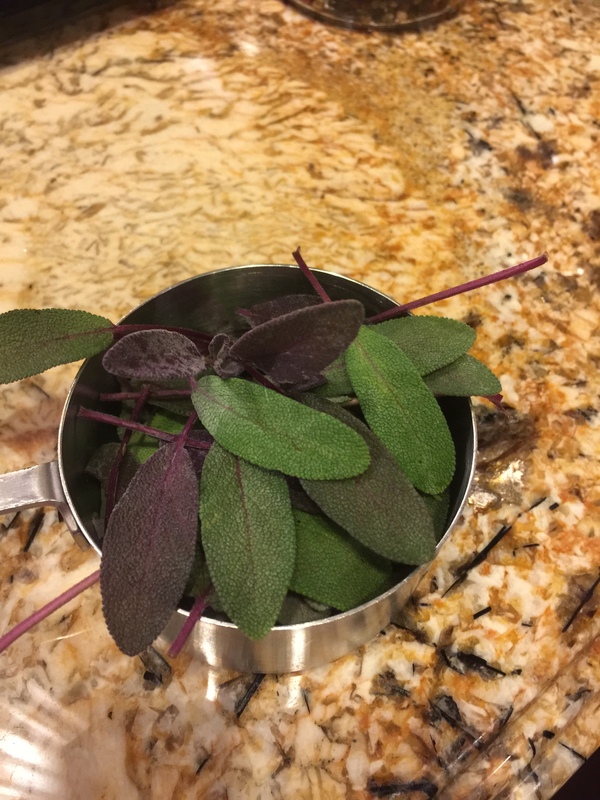 Place sage in a large stainless steel pot. 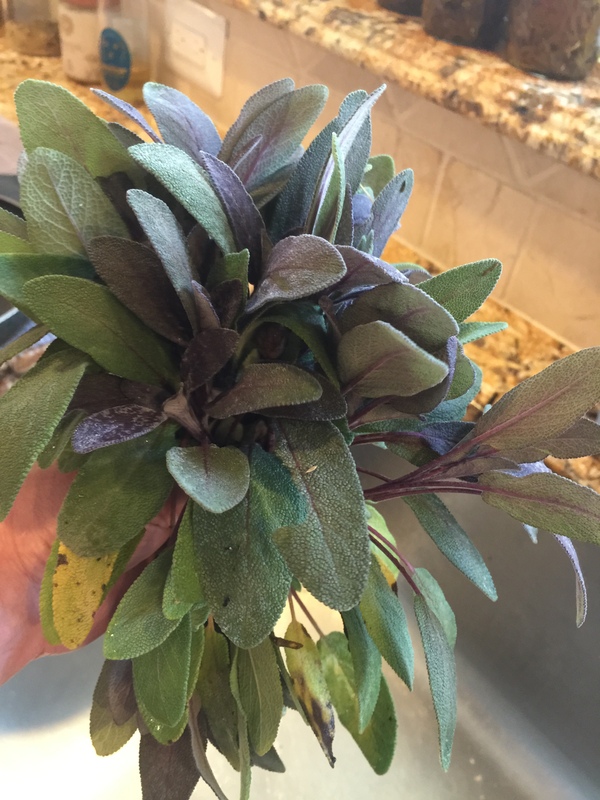 Pour the 1 cup of boiling water over sage. Then pour the remaining 3 cups of hot water into your pot. Bring to a boil. Immediately turn off heat and let decoct for 20 minutes. Add 1 tablespoon of sea salt to each cup of sage decoction. Stir to dissolve. 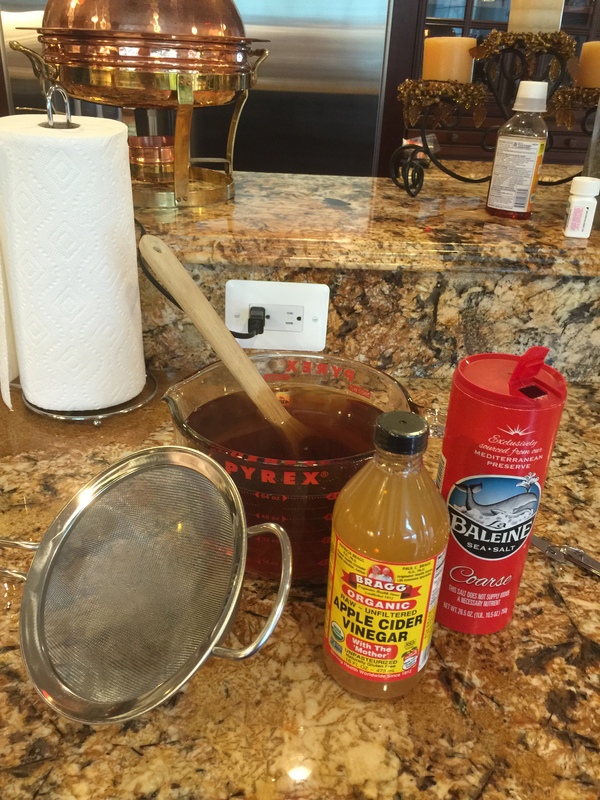 Add 1/4 cup of apple cider vinegar for every cup of sage decoction. Add in 1 teaspoon of cayenne pepper for every 6 cups of liquid. This can be omitted or reduced if you are sensitive to cayenne. It’s purpose is the anti-inflammatory properties reduce inflammation in the throat and it really helps when sinus infections are starting to travel up into the ears. optional: you can add turmeric for anti-inflammatory benefit or honey to improve taste and add extra preservative benefits. Bottle and label as you like. This gargle will be shelf stable without refrigeration for one month. There are no known interactions with other drugs and no known side effects when using as a gargle. Do not drink it–not that you would want too. . .lol! I would love to hear your results and if you know of additional remedies for sore/throat and sinus trouble feel free to share in the comments! Might just need this. Heading for Maine tomorrow and my husband and I both are maybe on the verge of the sniffles. Thanks. It tastes terrible to most but works fantastic. Hopefully you won’t need it but if you do I am glad to help! Hope you have a good trip! OOOOO. I am totally going to try this, Sabrina. Do you think you could can it? I apologize for the very late reply–family life has demanded my full attention for a bit. I have not tried canning but I plan to! I believe it should can well as it is highly acidic; and, the ingredients are largely natural preservatives anyway. 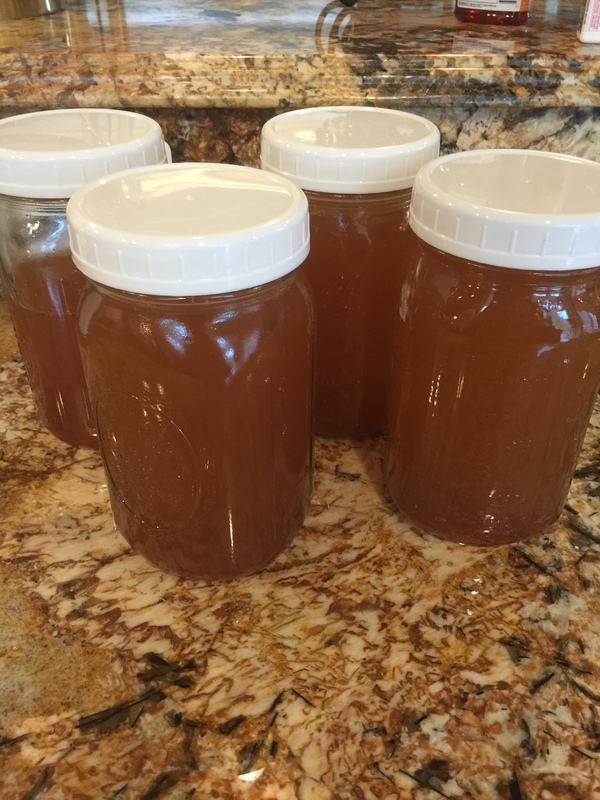 I am making another batch this weekend and plan to can some for use over the winter. I will post the results after; but, if you tried it I would love to hear the outcome!